Laura’s First Article for the Danser/Vandoren Newsletter Do I Need An Electronic Press Kit? Laura will be writing a series of articles for the Danser/Vandoren Newsletter, aimed at helping the young emerging artist. 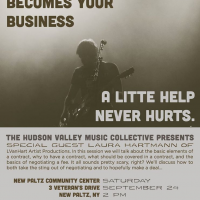 The purpose will be to give helpful information on various aspects of the business side of music. Hopefully, we’ll take some of the mystery out of it! Here is the first installment, “Do I Need and Electronic Press Kit?”. In this session we will talk about the basics elements of a contract, why to have a contract, what should be covered in a contract, and the basics of negotiating a fee. It all sounds pretty scary, right? We’ll discuss how to take the sting out of negotiating and to hopefully make a deal both sides are comfortable with. All are welcome! 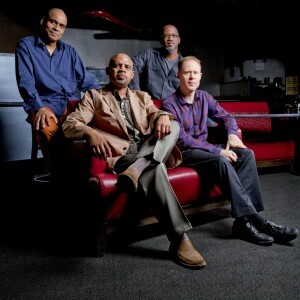 Put next concert is September 2nd at the Barnes Foundation in Phildelphia, PA. his powerful trio, led by Steve Wilson, will be a wonderfully creative exploration of jazz standards. 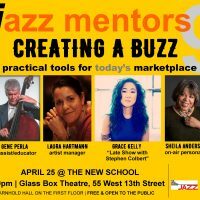 They will give a taste of each of their diverse backgrounds and careers that collectively include Chick Corea, Stan Getz, Joey DeFrancesco, Ron Carter, Ray Barretto, Gary Bartz, Maria Schneider, Chico O’Farrell and Stanley Turrentine, and many more. The evening includes a short reading from the archives featuring heart felt letters Dr. Barnes wrote to American artist, Georgia O’Keeffe during intermission as well as a glass painting project lead by Blue Moon. $10 student price! It has been 12 years since the release of Steve Wilson’s last CD as a leader, and the powerhouse saxophonist arrived at the Village Vanguard ready to tear it up. Ignited by a first-rate rhythm section (Orrin Evans, Ugonna Okegwo and Bill Stewart), Wilson jabs, hooks and uppercuts his way through seven pieces, starting with Monk’s “Well You Needn’t” and concluding with a blazing interpretation of Joe Chambers’ “Patterns.” A couple slower numbers allow the listener to unwind, but the pervasive emotion that characterizes the entire album is pure exhilaration. We are proud to have Mike Stern join our distinguished roster. 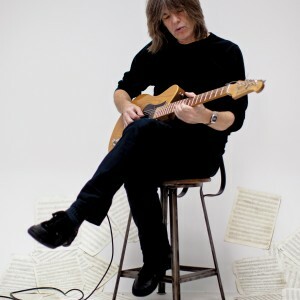 One of the most esteemed guiartists of his generation, Mike Stern has had a long and storied career spanning 4 decades. Click here to view Mike Stern’s artist page. NY1 VIDEO: In his latest “Sound Advice” report, WFUV DJ Eric Holland speaks with Steve Wilson, who recently played six nights at Village Vanguard with the eponymous Wilsonian’s Grain. 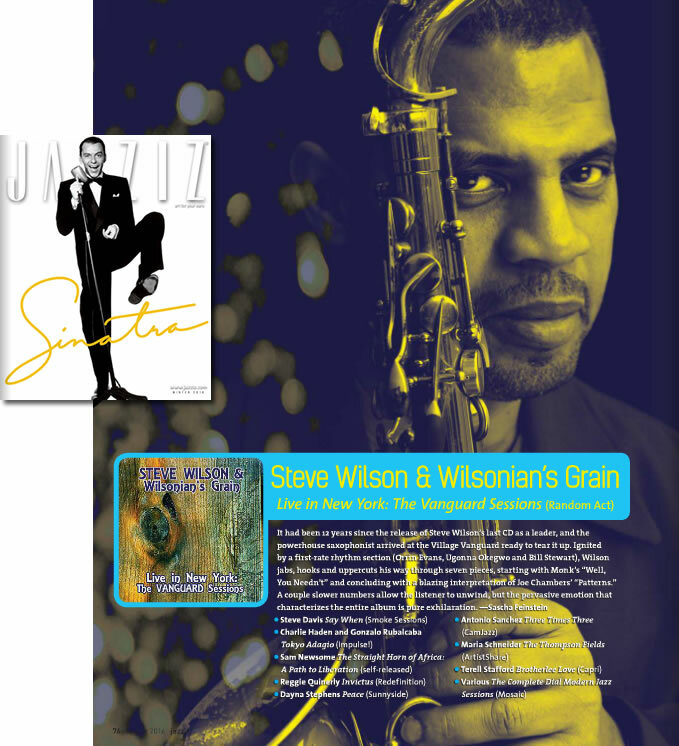 New CD for Steve Wilson recorded live at the Village Vanguard! We proudly announce that Steve Wilson will release his first recording as a leader since 2003! Steve Wilson & Wilsonian’s Grain, Live in New York: The Vanguard Sessions will drop on March 24th on Random Act Records. The recording was done at the Village Vanguard and produced by Laura Hartmann.